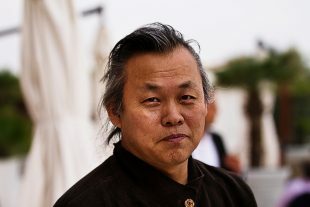 MBC’s investigative program “PD Notebook” disclosed additional sexual assault allegations involving award-winning filmmaker Kim Ki-duk and actor Cho Jae-hyun, months after the first shocking revelations in March of their habitual sexual misconduct. On Tuesday, four victims claimed they were sexually harassed or assaulted by Kim or Cho at different times. An anonymous makeup artist, who worked for Kim years ago when he shot an unnamed film, said Kim called her and offered her a sexual relationship out of the blue. “I rejected his offer. Hours later he came over to my place on a bike,” she said. She said Kim was notorious for his habitual sexual misconduct among the female staff. “There was a time when we, female staff, said we had better be “prepared for it” if we were going to work for him, or need to be extremely cautious not to be caught by him, otherwise he would try to assault us,” she said. An anonymous actress also claimed she was a victim of sexual assault by the filmmaker. PD Notebook said they requested director Kim to sit down for an interview to tell his side of the story regarding the allegations, but he rejected the request and instead sent an email to the program staff. In June, Kim filed a defamation lawsuit against PD Notebook and two actresses for a program that aired in March where the two claimed Kim sexually attacked them. The director claimed the allegations were not true, calling for them to compensate him. Actor Cho is also facing fresh sexual misconduct allegations from two victims_ one is a Japanese-Korean actress and the other is an ordinary citizen who claimed she was sexually harassed by Cho at a karaoke bar in southern Seoul in 2007. The unnamed Japanese-Korean actress said she met Cho while shooting a TV show in the early 2000s and he lured her to a restroom and forcefully kissed her against her will. Cho’s lawyer denied this, claiming there was no sexual assault, and accused the actress of taking money from Cho earlier after she threatened to reveal what she went through. Cho is facing multiple allegations of sexual harassment and assault from actresses and crew members.